ANDRÉ DE SHIELDS has been tapped for the World Premiere of Charles Smith’s The Gospel According To James, in the role of James Cameron, at Indiana Repertory Theatre (IRT) in Indianapolis. Directed by Chuck Smith, the new play will run from March 22 through April 10. In 1930, James Cameron and Mary Ball emerged as the sole survivors of racial crimes in Marion, Indiana. Teenagers when the crimes occurred, they look back on those events and their lives in Charles Smith’s latest work commissioned by the IRT. As their past and present lives intermingle, Cameron and Ball discover that their remembrances of that day differ even if their experiences were the same – challenging us all to wrestle with the tensions between memory, history and redemption. Last November, two-time Tony Award nominee and Emmy Award winner André De Shields portrayed W.E.B. 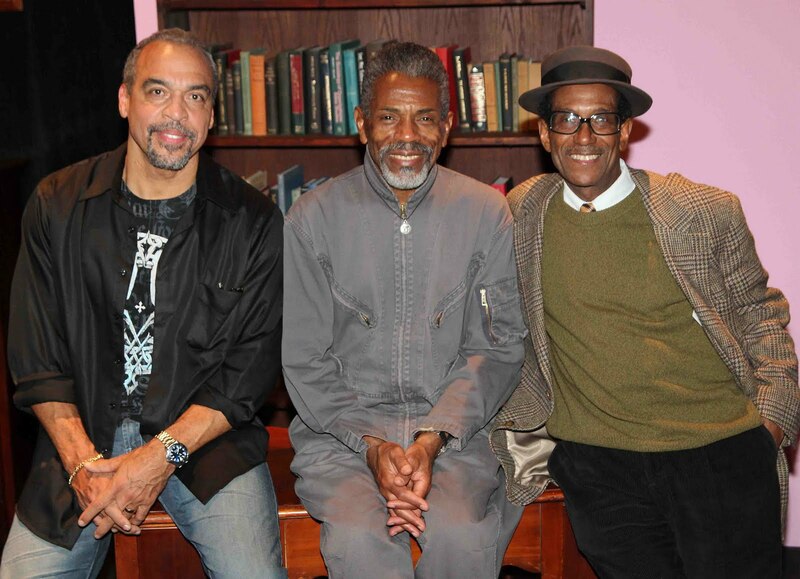 Du Bois in playwright Charles Smith’s critically acclaimed New York production of Knock Me A Kiss, directed by Chuck Smith. Now they have joined forces again for this remarkable new play. The cast includes Kelsey Brennan (Mary), Keith Gallagher (Claude), Marcus Hendricks (Tommy), Linda Kimbrough (Marie), Diane Kondrat (Bea), Christopher Jon Martin (Hoot), Anthony Peeples (Apples), and Tyler Jacob Rollinson (Abe). In a career spanning more than forty years, André De Shields has distinguished himself as an unparalleled actor, director, writer and educator. He is the recipient of the 2009 National Black Theatre Festival Living Legend Award, and the 2007 Village Voice OBIE Award for Sustained Excellence of Performance. Mr. De Shields is a multiple Tony Award nominee, and the author of the solo performance, MINE EYES HAVE SEEN THE GLORY: Frederick Douglass. He is best known for his show stopping performances in the original Broadway productions of four legendary musicals: The Full Monty (Noah “Horse” T. Simmons), Play On! (Jester), Ain’t Misbehavin’ (The Viper) and the title role in The Wiz. He recently played the character Old Banks in the Red Bull Theater production of The Witch of Edmonton. A triple Capricorn, he is the ninth of eleven children born and reared in Baltimore, Maryland. The Gospel According To James will be performed from Tuesday, March 22 through Sunday, April 10 at Indiana Repertory Theatre, 140 W. Washington Street, Indianapolis, IN. Tickets may be purchased at the IRT Ticket Office: (317) 635-5252 or online www.irtlive.com or visit www.andredeshields.com.